Mysteriously summoned to a houseboat on the Morava River, a few friends, associates, and collaborators of an old writer listen as he tells a story that will last until dawn: the tale of the once well-known writer’s recent odyssey across Europe. As his story unfolds, it visits places that represent stages of the narrator’s and the continent’s past, many now lost or irrecoverably changed through war, death, and the subtler erosions of time. His wanderings take him from the Balkans to Spain, Germany, and Austria, from a congress of experts on noise sickness to a clandestine international gathering of jew’s-harp virtuosos. His story and its telling are haunted by a beautiful stranger, a woman who has a preternatural hold over the writer and appears sometimes as a demon, sometimes as the longed-for destination of his travels. 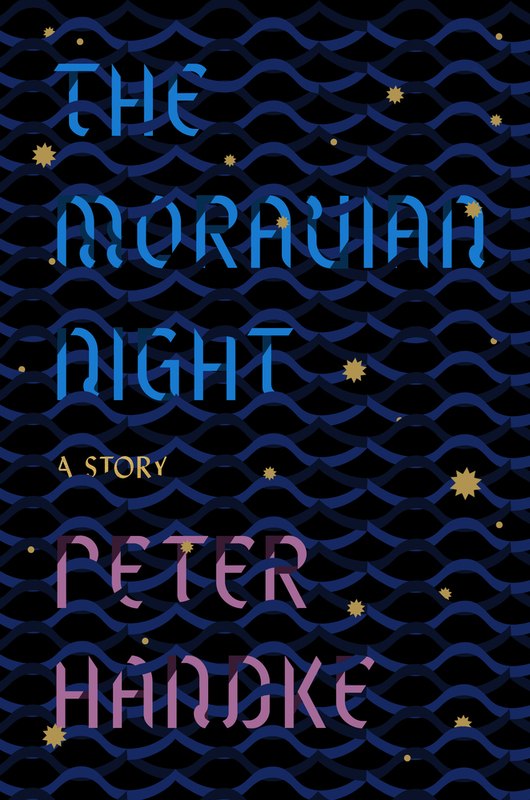 Powerfully alive, honest, and at times deliciously satirical, The Moravian Night explores the mind and memory of an aging writer, tracking the anxieties, angers, fears, and pleasures of a life inseparable from the recent history of Central Europe. In crystalline prose, Peter Handke traces and interrogates his own thoughts and perceptions while endowing the world with a mythic dimension. As Jeffrey Eugenides writes, “Handke’s sharp eye is always finding a strange beauty amid this colorless world.” The Moravian Night is at once an elegy for the lost and forgotten and a novel of self-examination and uneasy discovery, from one of world literature’s great voices. Peter Handke was born in Griffen, Austria, in 1942. His many works include The Goalie’s Anxiety at the Penalty Kick,A Sorrow Beyond Dreams, My Year in No-Man’s-Bay, On a Dark Night I Left My Silent House, Crossing the Sierra de Gredos, and Don Juan, all published by FSG. Handke’s plays include Kaspar and The Hour We Knew Nothing of Each Other, and he wrote the screenplay for Wim Wenders’s Wings of Desire. In 2014, Handke was awarded the International Ibsen Prize. Krishna Winston is the Marcus L. Taft Professor of German Language and Literature at Wesleyan University. She has translated more than thirty books, including five previous works by Peter Handke and works by Werner Herzog, Günter Grass, Christoph Hein, and Goethe.